What a week! TGIF! Last week was a slow, gradual crawl back to real life after the holidays, but this week I felt thrown to the wolves! But we have a fun outing planned for Saturday and then rest for us ALL! Sharing my weekly favorites today– enjoy and have a GREAT weekend! I have a lot of friends that sell Rodan + Fields, so I try to spread the love around when/if I decide to make a purchase! I tried the entire skincare line back a few years ago, and decided it just wasn’t for me. But when I tried a sample of the Radiant Defense Perfecting Liquid, I knew I wanted to really give it a go! It makes my skin look flawless, but not overdone. I actually wear very little face makeup on a daily basis- a tinted moisturizer (if that!) and always concealer. But this gives coverage without being heavy at all, and just made my skin look naturally pretty, like I didn’t have any makeup on at all! My new favorite paint color!! If you follow me on Instagram (@amanda_goatandlulu), then you know that I painted our living room/den/hallways last weekend. It took me all week choosing a nice, neutral, warm gray paint color for the walls, with ample input from my friends and followers! It was a lot of fun, and lots of people have some serious opinions on paint colors! Ha! Agreeable gray certainly got the most votes, and ended up being what I painted, and I’m totally obsessed with it. In fact, I’ve put nothing back up on the walls yet because they look so pristine and clean and I don’t want to mess anything up yet! We have so much warm brown wood and beige in our furniture and decor that I knew I needed to go with a warm gray so it wouldn’t look too blue or cool. 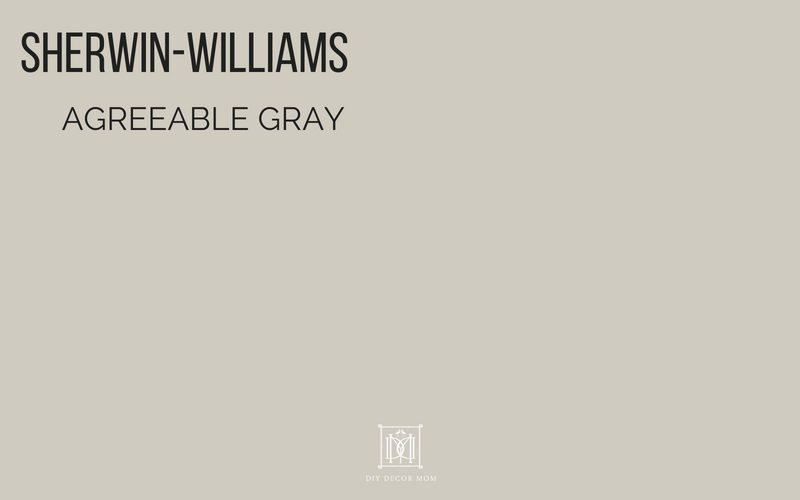 The agreeable gray is just perfect. Now to complete the redecoration of the room… stay tuned! I watched Game of Thrones yeaaaaarrrrrrrs ago, but Scott never watched it with me (though I always thought he’d like it but never seemed interested). A while back, he finally decided he wanted to watch it, and I was happy to watch it again since I enjoyed it so much the first time through. So we watched it, and I enjoyed it so much more the second time! It definitely helped clarify a bunch of relationships, and Scott asked me a million questions as we watched, and I had all the answers! It was just as entertaining and I highly recommend rewatching it! And now we’re SUPER excited about the new (and final!) season coming in April! 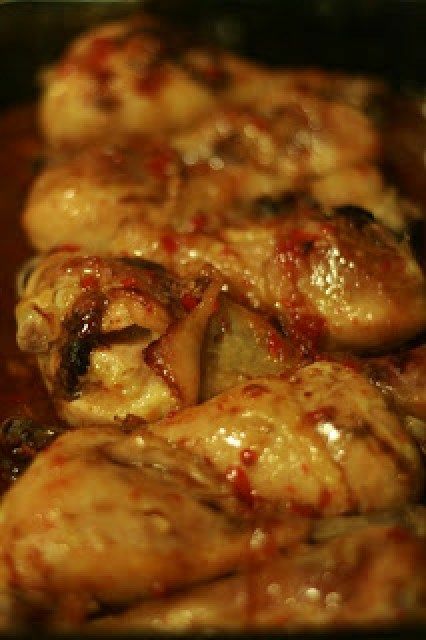 I made these super simple chicken drumsticks for dinner a few weeks back and they couldn’t have been easier or more delicious! Gracie ate three of them herself! It’s a bottle of sweet chili sauce dumped over a package of chicken drumsticks and baked. That’s it! Add some broccoli and rice and your dinner is ready! Isn’t this blouse gorgeous?? I love the bold print, the one shoulder, the ruffle, and everything about it. Now to plan a girls night out so I’ll have somewhere to wear it! !